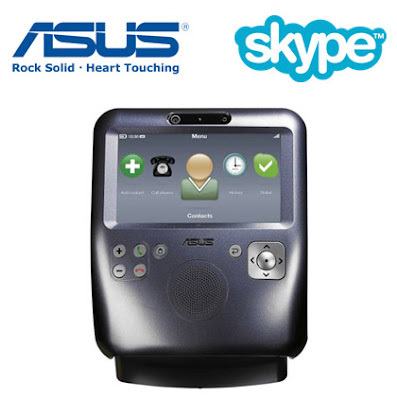 ASUS today unveiled the AiGuru SV1, the world's first Skype Certified videophone which allows you to make free video calls for free to other Skype users without the need for a computer. over the Internet. AiGuru SV1 has a large 7" display and a built-in webcam, speaker and microphone. The ASUS AiGuru SV1 will initially be available for pre-order on September 18, 2008 in Europe and North America from Skype's online shop (www.skype.com/shop). It will be on sale at the beginning of October 2008 priced $299.95/€249.95/£199.95. The videophone will be available in retail outlets in the Asia Pacific region later this year.